Mainz - The name Müller is a famous one in German football, but with FC Bayern München's Thomas stealing many a headline in recent season, it's another Müller who has flown under the radar to establish himself as a key player for his respective side. 1. FSV Mainz 05’s has come to the fore at the start of the 2013/14 campaign, becoming the first player since 1. FC Kaiserslautern's Halil Altintop in 2005/06 to score five goals in the opening four games of a season. However, things haven't always been as straightforward for Müller. Born in the Franconian town of Lohr am Main, the right-footed foward, who can play on either wing as well as in attack, started out at local minnows TSV Wernfeld, before joining Eintracht Frankfurt's youth setup as a ten-year-old. After six years with the Eagles, he was snapped up by second division SpVgg Greuther Fürth in 2003. He made his first-team debut for die Kleeblätter in 2007, but only managed seven Bundesliga 2 appearances during his first two years at the club. Müller was loaned out to SV Sandhausen, then in the third division, for the second half of the 2008/09 season as he went on to score five goals in 18 appearances, before returning to Fürth at the end of the campaign. Following his return, Müller succeeded in establishing himself in Fürth's starting eleven, quickly becoming one of the most prominent stars of Bundesliga 2. In the summer of 2011, he joined Thomas Tuchel's Mainz on a four-year-contract, making his first appearance for the club against Hannover, albeit off the bench. His full debut came against Borussia Dortmund on 24 September 2011, just one day shy of his 24th birthday. Müller announced himself in the best possible way by getting himself on the score sheet, but it wasn’t enough to prevent a 2-1 defeat to BVB. Although the versatile forward failed to add to his debut goal that season, he made a further ten appearances for Tuchel's side. Following an impressive return of eight goals and six assists in 2012/13, Müller received his first international call-up for Germany's tour of the USA this summer, making his debut in die Nationalmannschaft's friendly against Ecuador when he came off the bench for Lukas Podolski in the 89th minute. He made another brief cameo appearance in their 4-3 defeat to USA four days later, replacing Miroslav Klose with ten minutes remaining. Löw has admitted Müller “suits the style of football he enjoys”, despite the forward being on the fringes of the national team coaches first-team plans. 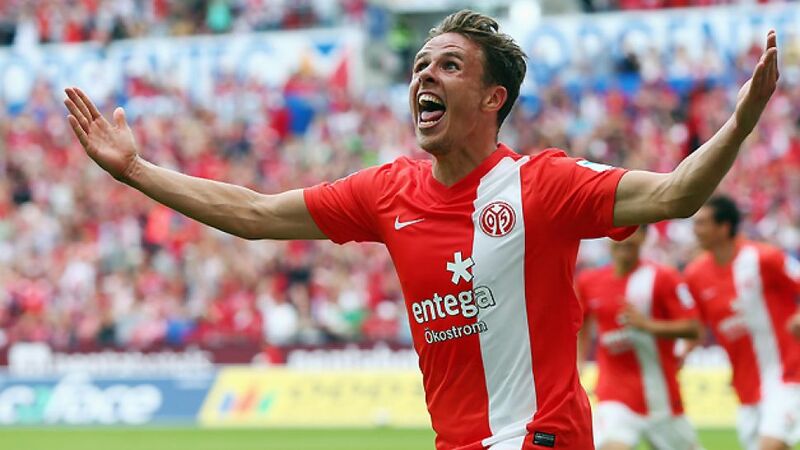 However, if he can maintain his current trajectory at Mainz, great things can be expected from Nicolai Müller.